After the election of the 60-year-old youth leader of the People’s Democratic Party, Malam Umar Garba Chiza – the PDP seem to have turned a new leaf with the recent election of it’s National youth leader to pilot the affairs of young people in the party. The ruling party’s recent “dramatic” convention witnessed the election of Abdullahi Husseini MaiBasira born 30/1/83 . 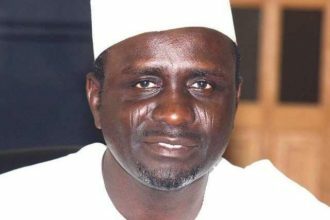 Husseini MaiBasira is an astute politician, started as the President of the Student Union Government (SUG) back in 2003-2004 at the University of Sokoto. He then became Senator of the National Association of Nigerian Students (NANS) from 2004-2005. The 30-year-old youth leader of the Peoples Democratic Party (PDP) in 2012 became the pioneer speaker of the commonwealth youth parliament. Until his recent election at the Special Convention by the PDP at the Eagle Square Abuja, MaiBasira was the Speaker of the Nigerian youth parliament from 2011-2013. MaiBasira speaks on the build-up to 2015 election, the situation in his party,plans for young people, why he thinks umbrella of his party is big enough to accommodate everyone among other issues. How does it feel to be elected a youth leader of the PDP especially when you are just 30? First and foremost, let us give thanks to God almighty and let’s also give thanks to the People’s Democratic Party, PDP for allowing the convention and the organization of the convention to have gone very smoothly. I feel privileged and I feel honored, but I think this is not an honor done to me as a person but honor done to the entire Nigerian youths and the People’s Democratic Party. This is the party for young people, this is where young people should be and this is where the aspirations of young people can be fulfilled as far as getting engaged in the political process. How did you emerge candidate? There is a process and I think journalists also know the process too. Do you have laid out policies for the youth constituency that you represent? My major responsibility as the National youth leader is to galvanize the youths towards the party, to ensure that the youths believe in the party, and to bring to bear the policies of the government. Part of the transformation process of the government is for the entire Nigerian youths to see that the PDP government is working for the future generation of Nigeria and I think my blueprint is not an ecstatic blueprint. It is an integral blueprint of the party; it’s an integral blueprint of the Federal government to ensure young people are given an opportunity to grow. Mine is to facilitate and ensure that young people are given that opportunity in other for the party to remain the largest party in Nigeria. Why should anyone refer to your party the PDP “great?” What is great about the PDP? First the PDP is a great party even if you don’t want to define it as such, this is a party that conducted democracy in 1999 from the military and has ensured that democracy thrive and has continued to thrive in Nigeria. And this is the longest period of democratic coup, you know that Nigeria has experienced since 1960 so you cannot say this party is not great. And this is the party that accommodates anybody irrespective of where you come from; this is the party for everybody. It’s a party that has the large heart and therefore is a great party. You have got a major Political party like the All Progressives Congress, APC, to compete with ahead of the 2015 general elections. Why should young people vote the PDP? The PDP has done a lot for young people; even my emergence as the National Youth Leader at the age of 30 is a clear testimony that the party loves young people. The transformation policy of the government is also in line with young people’s aspirations. This is a party that conceptualized and is currently implementing the YOUWIN program that is based on the intellectual capacity of young people to pursue their own dreams and chase their own dreams objectives in life. No government before now has been able to do this; we have a lot of young people opening up their businesses by virtue of this YOUWIN program. This is a party that has undertaken the SURE-P program, of the beneficiaries of these SURE-P programs are young people. So this is a party where young people are at the heart and the centre of the policies and the thinking of the party and the vision. Talking young people, I went through your records and I realized you were ones the Student Union Government President. Young people have been home for two months now due to ASUU strike. It is an unfortunate development but of course government is responding appropriately and young people have every reason especially with their parents not to be at home. Of course, government has been engaging in serious and very active consultations and negotiations are on-going and I believe that the appropriate authorities’ via-a-vis the Federal Ministry of Education. The committee charged by the governor of Benue state is up to the task, and that is what you get when you have a responsive government and Mr. President has consistently said, no young person should be at home and that is why the government is working round the clock to resolve the issue. Unemployment remains a critical issue for young Nigerians. Will you propose that aspirants, flag-bearers of the PDP ensure that employment opportunities top their agenda? We seem to be exclusive and the office of the National youth leader is not exclusive of the general policies of government. The PDP led government is very concerned about youth unemployment and it has taken serious steps to address this issues. But also if you look globally, you are having a global trend of unemployment and not only Nigeria, the average unemployment rate in the European zone now is about 29%, the average unemployment in America currently is still over and above 9%. And the general economic situation in the world and not only in Nigeria is depressing a lot of economic advancement issues. But Mr. President as part of his transformation agenda has put, left right and centre, the need for young people to be actively engaged and that is why I mentioned initially this issue of YOUWIN. You have young people opening up their businesses, they are also hiring. We also have the SURE-P where young people are trained in skills andacquisition programs and that is assisting them in building their own lives and putting their destiny in their hands. As young people we all know that economic democracy is changing, people are building their competence and we must continue to build our competence. That is the space that the PDP government is giving to young people, you have a destiny take it in your hands; and that is equal opportunity for all and prosperity for the mass of the people that is the cardinal principle of the PDP. What happens to the very vibrant young entrepreneurs that lack the resources to expand needing government intervention, would you bridge the gap between the young people and the ruling party to reach out to these categories of persons? The ruling party is very concerned about the plight of young people and the government has been very concerned about the plight of the young people, the government too has been very concerned about the plight of young people after all the future of Nigeria is with the young people. That is why you have a lot of presidential intervention, a lot of Federal government initiatives as far as young people are concerned. When you go to MDA’s, Ministries departments and agencies, Small &Medium Scale Enterprises (SME’s), you have a lot of programs. Go to the Federal Ministry of Agriculture you have youths in agriculture, go to ICT you have a lot of initiatives; you go to Directorate of Employment, now all these are factors of state machinery that is geared towards ensuring that young people are employed . Of course generally the need to expand these policies is there and I think government is taking the necessary steps to facilitate and expand these. Insurgency in Northern Nigeria, what would you say to young Nigerians that have suffered from continues attacks and reprisals by the young people. Well I wouldn’t call it insurgency, but as far as the security challenges are concerned; you must of course give kudos to the Presidential direction for the state of emergency. You can see the fruit and the benefits of that state of emergency, it is clear the level of insecurity has drastically reduced. Before now you know I was speaker of the Nigerian youth parliament, I have met with the Presidential Committee on Peaceful Resolution and security challenges in the North. And I have had feedback’s from our people and the youths from that area. We have commended the President and this government. I have had a lot of inputs and responses from young people in the North and the peaceful security efforts of the government are actually curbing these challenges. That is why I think as young people we must support the government in resolving in its drive to resolve the peace generally and also to our security operatives who themselves mostly are youths that are engaged in addressing the security challenges and making sure that we sleep with our eyes closed. What is your main focus as the National Youth Leader of the PDP, now that you have assumed office? It includes to transform how young people view PDP, also to engage young people constructively on the achievements of PDP since 1999 more specifically since 2011 and what government has been able to do to move forward. It is also to ensure that young people continue to believe and give their trust to a party that has continued to sustain democracy in Nigeria and a party that has delivered on its promises consistently to Nigerians such that support and loyalty to the party will continue. I will urge young people, most of them whom I know across the country that this is the party for all young people and the President has a very deep passion for all young people and the President supports any initiative that will grow young people. And that is why you will find people like us in PDP. Someone on Twitter said I should ask you, why PDP and why not APC? First and foremost I have been a loyal member of the party and if you go through my track records first as a student activist. I have never switched to any side. The PDP is the only party that accommodates Nigerians irrespective of where they come from; PDP is the only party that can guarantee the aspirations of young people irrespective of who they are. PDP is the party that does not have or know the top rank of “Godfatherism”. This is a party that accommodates everybody, and that is why i registered and became a member of the PDP for a very long time and I will continue to remain a member of the PDP. One thing i have noticed is that a lot of young people do not want to get involved in partisan politics, but they get engaged actively on social media and when it comes to the electoral process, some of them very active on social media when they don’t even have party registration. For those of them I will invite them to join PDP and for others who are in the PDP I will ask them to remain and also ask others to come to PDP. Specifically some of the groups that I belong, between the times that I was nominated, and now personally I know a number of people who have called me from the length and breadth of this country further pledging their loyalty to the party; that if the PDP can give a 30-year-old, young man an opportunity . Then it is by extension telling Nigerian populace that this is the party where young people are perfectly accommodated. Then I will invite young people to be part of the party, part of the political process.